Two Nigerian widows are in the Hague to sue oil giant Royal Dutch Shell for having been complicit in the executions of nine Ogoni men during a Nigerian military crackdown in 1995. 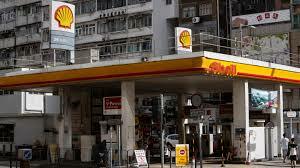 The four widows, two of whom were denied visas are suing Shell for compensation and demanding an apology. However, the oil giant denies any wrong doing and claims that it never colluded with Nigerian authorities or advocated any act of violence. While testifying in court, Esther Kiobel, one of the widows, described her late husband as “kind-hearted” and that his execution left her a “poverty-stricken widow” and her family “traumatized”. For years, the Ogoni land in the Niger Delta has long been blighted by environmental pollution blamed on oil production.